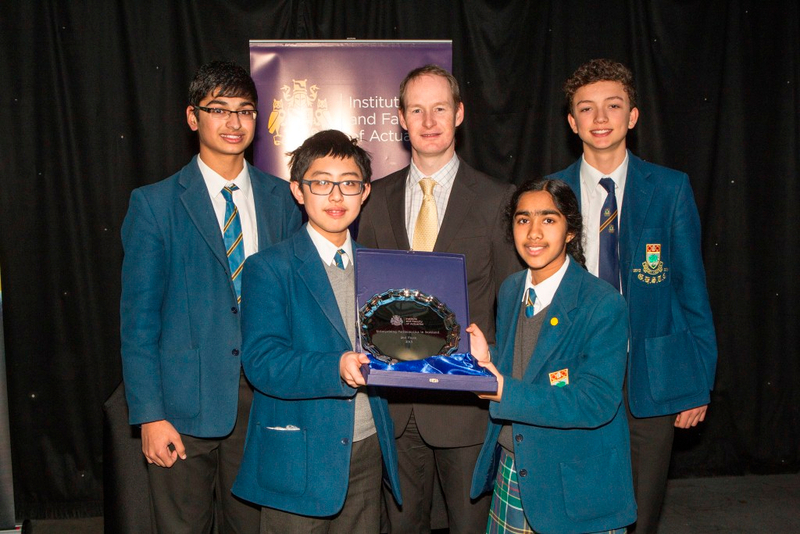 The 2013 Enterprising Maths in Scotland (EMiS) final sponsored by The Institute and Faculty of Actuaries took place on Tuesday, 19th November in The Glasgow Science Centre. 56 teams of S3/S4 pupils from all across Scotland competed throughout the day in four varied and challenging rounds for the prestigious title of EMiS champions. The day began with the Team Round as contestants were faced with twelve tricky problem solving style questions. 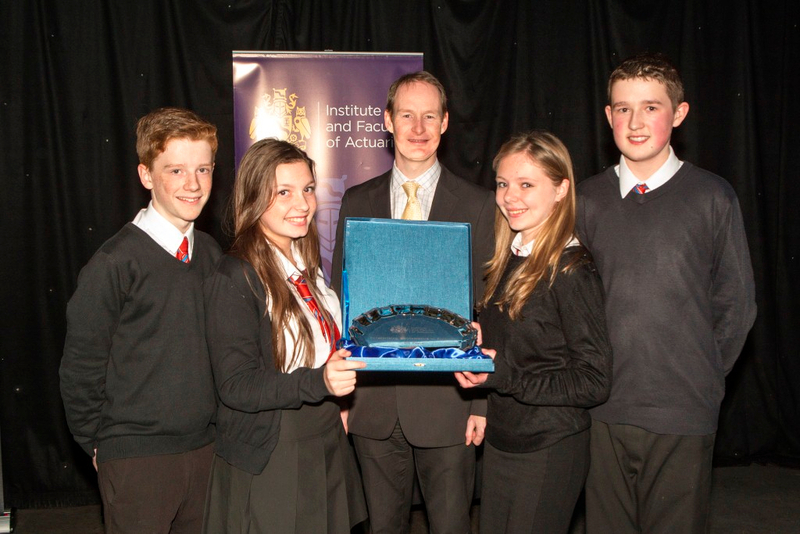 Congratulations go to The Edinburgh Academy for winning the special prize for the Team Round. Round Two was a practical round where teams raced to construct and answer questions on one of the Archimedean solids. Top marks to Boroughmuir High School for their performance in Round Two. After lunch teams tackled the Stations Round where they worked against the clock on six fiendishly difficult challenges which required teamwork, logical thinking and perseverance in order to succeed. Well done to Speyside High School for their outstanding performance in this round. After a break to explore the treasures contained within The Science Centre, teams reconvened for the Relay Round, an action packed end to the day that saw Cumbernauld High School emerge as round winners. The scores across all four events were compiled and our congratulations go to Balerno Community High School who finished in 3rd place overall. Congratulations also to The High School of Glasgow who finished a close 2nd. 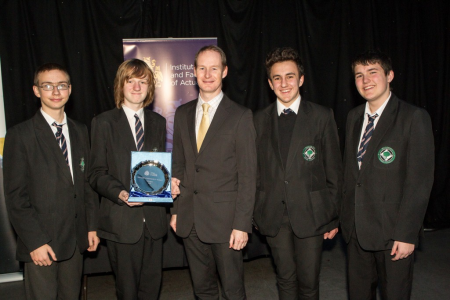 This year the EMiS silver salver for 1st place went to the well deserving team from Stonelaw Academy. EMiS would like to say ‘thanks’ to The Science Centre for hosting the event and an extra big ‘thank you’ to The Institute and Faculty of Actuaries whose generous sponsorship made the whole event possible. 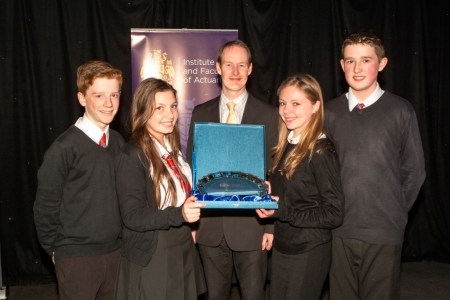 The full results for all teams participating can be viewed at: 2013 Enterprising Maths Final results.